Sure, you can purchase Windows applications for a price. With some — like Microsoft Office and Adobe Photoshop — it’s impossible to get around. But there are also many Windows applications out there that are 100% free. Some of them can even replace most of the features of your favorite paid programs (Microsoft Office and Adobe Photoshop included). Or, if you’re considering buying the paid versions of these programs, you can first download the free version to ensure you like the layout, options, and fluidity. Below, we go over 10 of the best free Windows applications for download. These applications aren’t trials, and they aren’t limited to things like watermarks or other incomplete features. They are absolutely free, downloadable applications that you can use for … well, forever. DaVinci Resolve is one of the most professional video editors on the market. Functionality is excellent, and you have a range of options when editing video in nearly any form. With this program, however, you’ll need to keep in mind two things. First, in order to properly run DaVinci Resolve, you’ll have to have at least 8 GB of RAM, 1 GB of graphics memory, and a 64-bit version of Windows. Second, there are two versions of this software: DaVinci Resolve (free version) and DaVinci Resolve Studio. The latter is a paid version and, naturally, has more capabilities and features. If you don’t want the paid version, choose the option on the left when downloading this program. And remember that for basic editing practices (with some added keen features), the free version of DaVinci Resolve is still quite capable completely worth it. Blender is another of the best free applications for Windows. It is an open source 3D modeling package. Use it to create amazingly-professional 3D images of any kind; if you like, you can even translate your designs to a 3D printer. Blender can also be utilized to create animations. In addition to its 3D imagery modeling capabilities, Blender also features video editing capabilities (basic) and has an integrated compositor. When Microsoft Office is too pricey of an option for your word and data processing needs, Apache OpenOffice is an excellent alternative. It has been downloaded over two hundred million times. This program includes a word processor, database, drawing package, presentation package, and spreadsheet maker. All of these programs are compatible with the paid version of Microsoft Office. A sub-option of OpenOffice is another free Office package called LibreOffice. They are essentially comparable with only a few features that differentiate them. In terms of sound applications, Audacity is one of the most widely-used and professional multi-track audio editors out there. It is also a recorder. Volunteers created this super easy-to-use program to be completely open source. It can record and edit an entire album, has multiple themes and playback options, and allows you to edit and use effects just like a professional program. SketchUp is a modeling program and is used often by those interested in 3D printing; the software can create all types of models that can later be translated to a 3D printer. It is extremely easy to use. There are two SketchUp programs, and this is the free version. The professional (and paid) version is called SketchUp Pro. As a result of this, it is essential that you state that you are only going to use SketchUp for personal projects at the time of your free download. GIMP is an image editor and is completely open source. This program is an excellent alternative to Adobe Photoshop for editing photographs and other images. Even though the program has quite a steep learning curve, it’s definitely possible to get used to the platform and reap amazing benefits from the program — especially if you’re not ready to shell out for Photoshop. Krita is a painting program and is open source. It was created by artists and is geared toward artists. You can download the program from the Krita website. The program allows you to create drawings on your computer, much in the way that real drawings (with paper and pen or pencil) are created. If you have a Graphics tablet, the program works especially well. Sculptris is a 3D sculpting program available from Pixologic. It uses technology that professional 3D-modeling sculptors use. The whole package is a pared-down version of an all-in-one-digital sculpting solution called ZBrush (also by Pixologic), but this doesn’t mean it’s not possible to use Sculptris to create some pretty amazing things — great for those thinking about investing in ZBrush, who want to see how the software works. A vector graphics editor, Inkscape allows you to “Draw Freely” as the advertising proclaims. It is comparable to Adobe Illustrator. The program was created by developers for professionals and amateurs alike. Those who can benefit from this software include classic designers, web designers, illustrators, and anyone else interested in vector imagery. A broad array of structured drawing tools are available for a clean and neat final presentation. Scribus is a desktop publishing package that can produce a range of excellent results in terms of type- and image-setting. It is a top-notch DPT program for PDF and animated presentations as well. Create and arrange typesetting, layout, and much more. Are There Any Other Free Application Options? In addition to the ten free applications listed above, there are also two other, runner-up free applications you might consider. This is a motion graphics program and compositor for both 2D and 3D design. 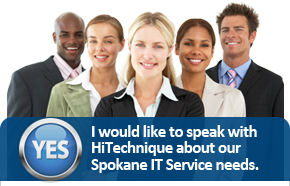 Just make sure that you have strong enough capabilities with your PC as this program has specific requirements. Finally, here’s another 3D modeling option that is free for users of all ages. Autodesk 123D offers a variety of packages for assistance with 3D modeling that can create jewelry, home décor, Minecraft models and other toys, and much more. For industry, the models created with Autodesk 123D can be used in a variety of settings as well. If you are interested in any of the areas listed above — illustrating, 3D modeling or sculpting, sound editing, video editing, image editing, or word and data processing — be sure to give these free applications a try on your Windows computer. These free versions were created by professionals to be open source for use by everyone and anyone, so take advantage of the technology and get creative!